Alpine members participate in several shooting disciplines, including the club’s own PR5 rifle competition. PR 5 is a hunting-inspired program designed to improve marksmanship to the highest level of precision. It stresses good technique, rifle control and timing. While shooters with open sights often take part, the PR5 program is designed for scoped rifles. 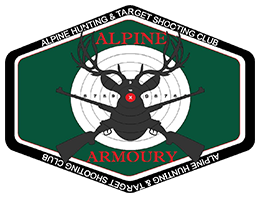 The Alpine PRC is a strong supporter of scoped rifle target shooting, which we believe is the future of our sport. Distances in PR5 vary from 100m to 400m. Matches take 35 to 40 rounds and involve slow, rapid and snap fire from multiple positions. Scoring is done at the end of the match. To achieve PR5 qualification at a given distance, you need to score more than 95 per cent.To take part in Alpine club hunts , you must score at least 140/175 at 100 metres. Download formats/courses of fire for PR5 matches at 100, 200 and 300m here. Alpine holds weekly rimfire matches at 50m. These follow the same format as 100m PR5 but are shot on reduced targets. Alpine members regularly take part in fullbore/F class target shoots run by the MDRA at Anzac. Shooting in these comps is done from the prone position at longer ranges (from 300m to 800m). This discipline requires special skills, including wind-reading. Standard fullbore shooters use a sling and lens sights (modern iron sights). Shooters with scoped rifles compete in the Target Rifle Optic Class, using only a sling for support, or in F Class, using a bipod or other front rest. The standard course of fire is two sets of 10 rounds, loaded singly, with two initial shots for zeroing. Alpine members generally shoot a single 20-round set, with a maximum four zeroing shots. This is to get our top shooters conditioned for US-based service rifle championships and any-sight championships that shoot a 20-round string at 600 metres/yards. Fullbore shooters use electronic targets, so you can see your shots instantly on an ipad or iphone. This page shows target sizes at various distances. Detailed information about specs and rules are set out in the NRAA’s Standard Shooting Rules (146-page document). Service Rifle competition is designed for iron-sighted bolt-action military rifles in calibres such as the British .303, .30-06 Springfield, .308 Winchester and 7.92 mm Mauser. Shooters with non-service bolt action rifles, using iron sights or scopes, may compete in Open Class. Service Rifle matches use 4-foot-square yellow targets with a black aiming mark, and black-and-white moving targets. The scoring system is similar to the one for F Class. All shooters are expected to help mark the targets in the zeroing phase before each match. Alpine members also shoot in Service Rifle competitions in New Zealand and the USA, using semi-automatic service rifles such as the AR-15. Alpine is also a pistol target shooting club. If you would like to try pistol shooting with us or take part in our matches, you’ll find full details on the Pistol page. Please read carefully the section that applies to you. If you do not have a pistol licence, you should be aware that getting a pistol licence involves several more steps, and longer wait times, than getting a rifle licence. 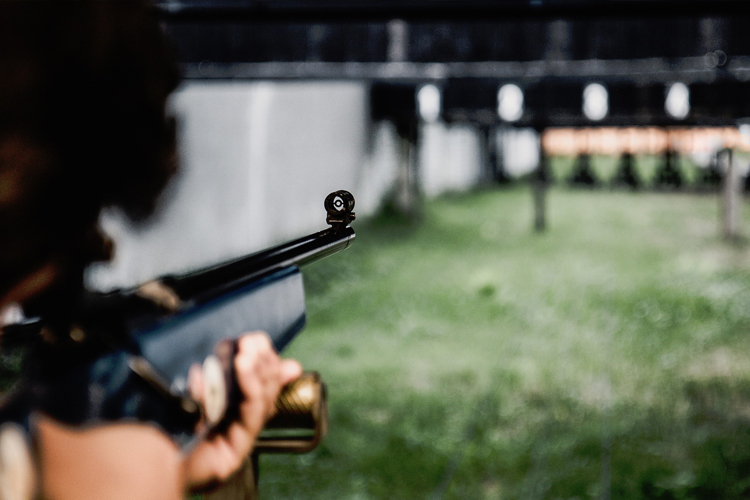 The steps for licensing are outlined in detail at the NSW Firearms Registry website. You are also welcome to talk to us at the range about the licensing process and joining our club. All competitors must be thoroughly familiar with our Pistol Rules (pdf). The International Shooting Centre at Cecil Park is upgrading its targets system. Rifle and pistol ranges will be closed for extended periods until March 2018. Check link for current opening hours. Click on a cover for Amazon link. US Gen. Julian Hatcher knows a LOT about guns, and he explains it clearly too. Andy Stanford on handguns, shooting fast and staying accurate. Jim Corbett’s gripping classic about hunting tigers in 1920s India (free pdf). Master gunman Jeff Cooper unloads his knowledge of Rifle Zen. Get it ALL with ALPINE. We aim to be Sydney’s best.